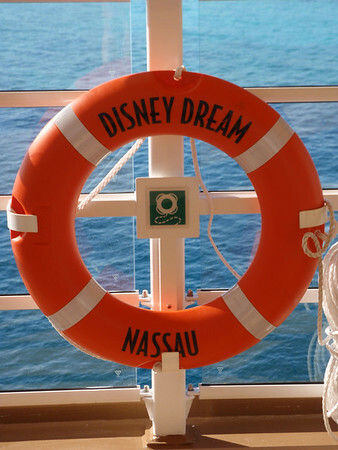 Disney Chronicles | and all my Florida Adventures! We dropped into The Edison for lunch on our visit to Disney Springs. The Edison is set in an abandoned power plant and has an industrial, gothic steampunk theme. The multilevel restaurant is big and yet still has a cozy feel, with three bars, entertainment area, and various seating configurations. The hostesses are dressed in flapper dresses and the male servers are dressed in 1920’s style attire with suspenders and bow ties. At lunch time the vibe is mellow, providing a great family dining experience, but after 10 pm it transforms into an Adult-only venue focused on craft cocktails and Cabernet entertainment. The menu consists of contemporary American fare, with a selection of sandwiches, salads and entrees; plus a focus on artfully crafted cocktails. We chose the Edison Burger -Signature Beef Blend of Sirloin, Short Rib, and Brisket topped with Cabot Cloth Bound Cheddar, crispy Onions, Smoked Bacon, House-made Pickles, Lettuce, Tomato, and Special Sauce served with Fries. It was AWESOME! Buffalo Chicken Sandwich-Spicy-fried Buffalo-style Chicken Breast Sandwich topped with Blue Cheese, Lettuce, Tomato, and Pickles, with French Fries. Great also but VERY spicy. Chop Salad-Napa Cabbage, Greens, Grilled Chicken, Apple, Jicama, Pineapple, Pepper, Carrot, Spicy Cashews, and Sesame-Ginger. Good and especially enjoyed the sesame ginger. Overall a fun restaurant with very detailed theming! Would love to return for a date night. 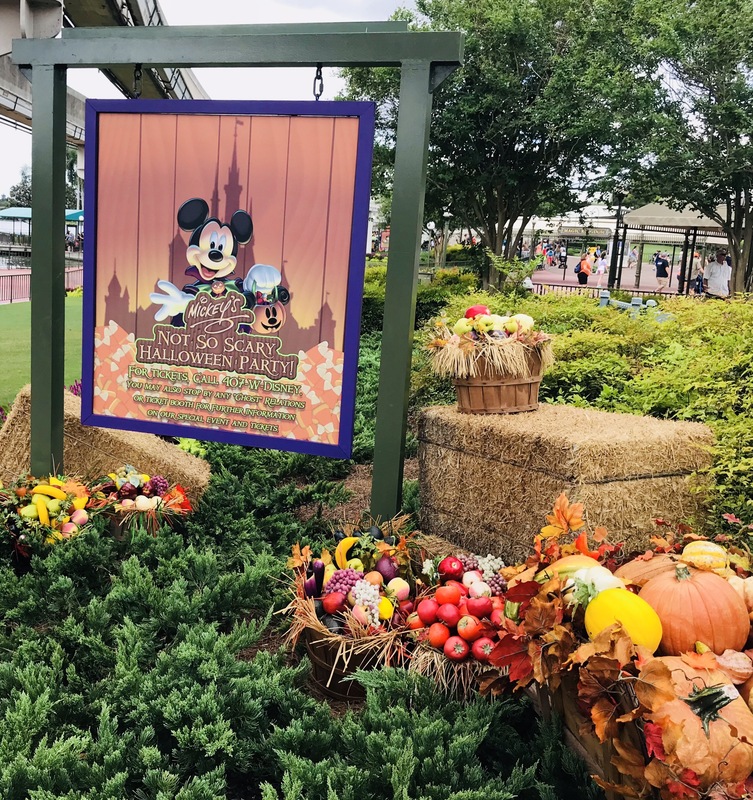 Mickey’s Not So Scary Halloween Party! and one of my favorite events at Disney! I have to add that I was worried my boys would grow out of it but really who grows out of all that CANDY! This is a separate ticketed event that runs August to Early November. 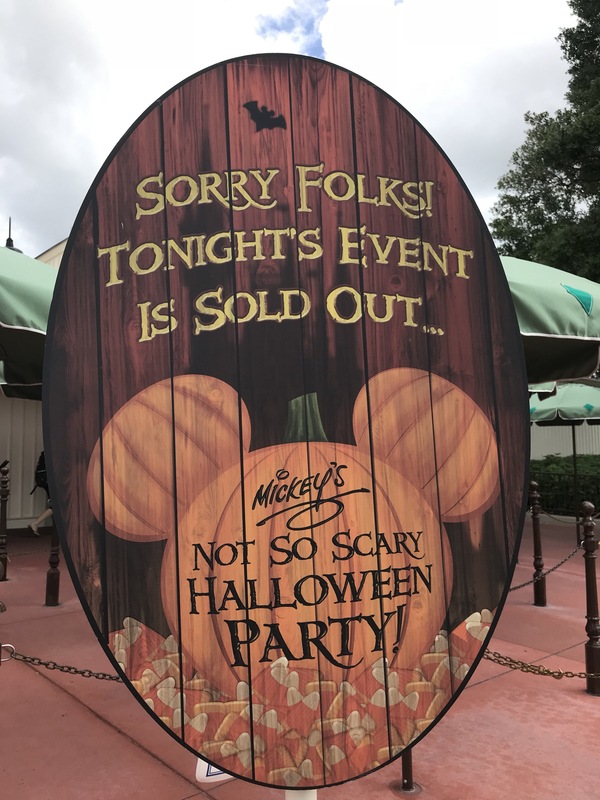 Magic Kingdom will close to all other guests and the party will go from 7pm to Midnight. 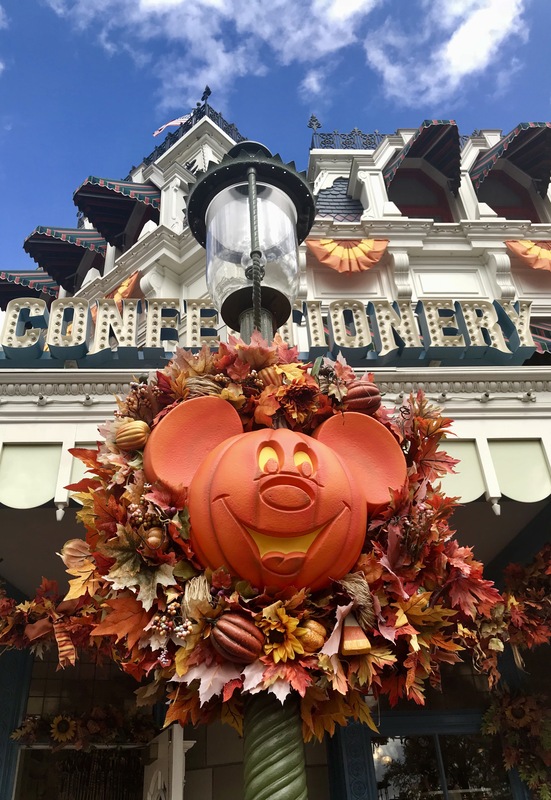 Don’t miss your chance to collect so MUCH candy, sweets and frightfully delightful treats–all while the park hosts grim grinning ghosts, eerie entertainment and Disney Characters that go bump in the night. 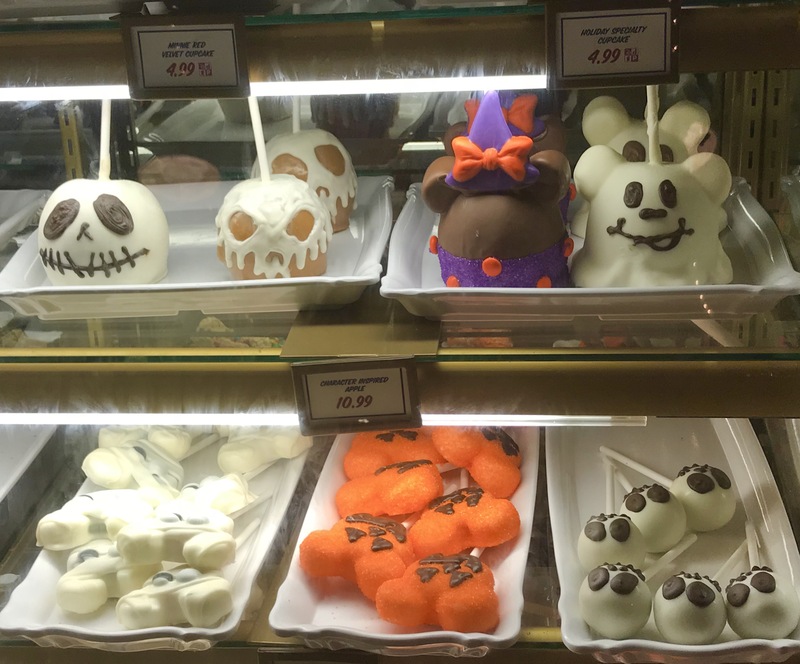 Well sort of…since the tone of this event is “not-so-scary,” that means children of every age can enjoy the fun! One of my favorites? 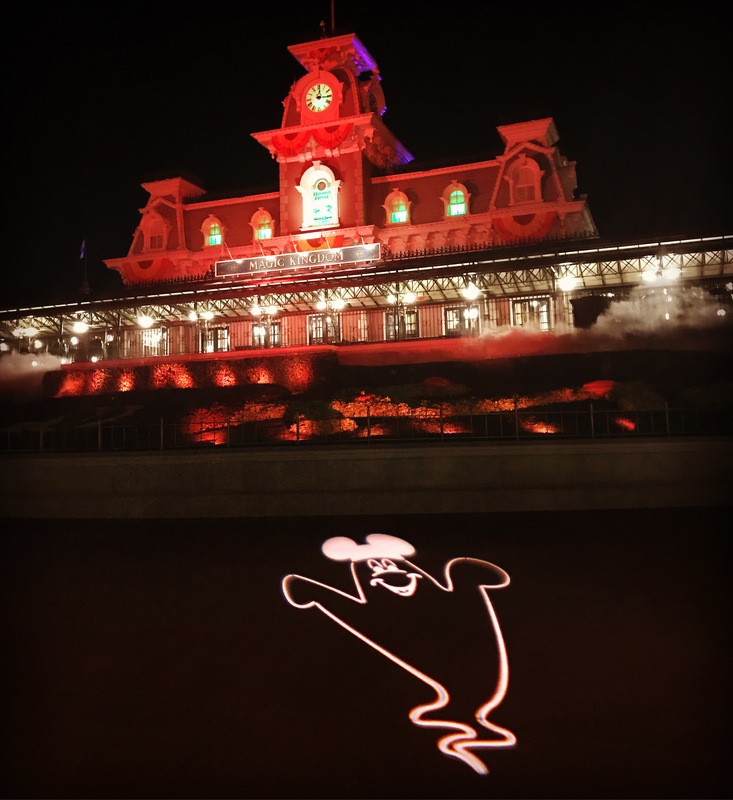 The Boo To You Parade! Make sure you line up early to see the Headless Horseman! Photo Ops, Exclusive Merchandise and did I mention shorter lines for the rides! It’s true! Not the Hollywood Studios you remember..
Have you seen the map of Hollywood Studios recently? If so you may be saying…WHAAAAT?! Changes? OH YES! and plenty of them! To make room for the 14 acre Star Wars and 11 acre Toy Story lands, a number of attractions and areas have closed. Starting with the removal of the Earffel tower. Walking around you will see most of the park is under construction. Walls are up almost everywhere. Among other casualties: The Writer’s Stop, a place I loved! It will be remembered for being the perfect corner stop to get away from it all, have a quiet moment with a steamy cappuccino and the famous carrot cake cookie! Gone. UGH. Lights, Motors, Action! Extreme Stunt Show, Streets of America, Honey, I Shrunk the Kids Movie Set….All Gone! Disney has also discontinued two seasonal events — the Osborne Family Spectacle of Dancing Lights and Star Wars Weekends. I think the biggest shock for me was the Osborne Lights!! Why OH Why!! I cannot even think of anything that comes close to that Holiday Light perfection! Can you tell…I don’t do CHANGE well! Disney’s Animal Kingdom used to be considered the half-day park. As Animal Kingdom has debuted new attractions and extended hours, Disney’s Hollywood Studios is starting to take on that reputation. In my opinion it will have a different feel & flair once complete and a majority of it will focus on Star Wars which does not have as much appeal for me as it does for others. Debuting for the 1st time this year, now open and welcoming guests, with fifteen different Disney themed trees. Need some ideas? You must GO! Last night we had the chance to walk through the trail and loved it! they are each themed and really fun! To pick a favorite I would have to go with Jungle Book for being the most Unique! If you time your visit right, you’ll also have the chance to enjoy a light “snowfall” and a few toy soldiers walk by…a festive addition to make the experience perfect! It is worth the visit! Enjoy! Have you heard? I can’t wait! A brand new attraction called Miss Fortune Falls is coming to Disney’s Typhoon Lagoon at Walt Disney World® Resort in spring of 2017! Miss Fortune Falls will be a family-style raft attraction that takes Guests on a splashing journey through the fabled Captain Mary Oceanear’s past. Legend has it that Captain Oceanear, a treasure-hunting heroine, travelled across the sea collecting unique artifacts before she became stranded at Disney’s Typhoon Lagoon many years ago by a rogue storm. Onboard treasure rafts, Guests will ascend to the top of the attraction before plunging into a white-water adventure where they will be able to spot some of the treasures Captain Oceanear gathered from around the world. With a ride time of two minutes, Miss Fortune Falls will be among the lengthiest attractions at both Disney Water Parks. The New All Day Disney park! Is transitioning to an all day park this summer and will be offering many nighttime activities including the Expedition Everest Roller coaster ride….can you imagine!! (Yes, I have done it) ( not sure I will do it again)!! Nighttime Kilimanjaro Safari rides will offer a new glimpse of the animals after dark. The tree of life will also come alive at night! The New Rivers of light experience will feature floating lanterns and swirling animal images. Starting this weekend the new show The Jungle Book: Alive with Magic will debut on the Discovery River. 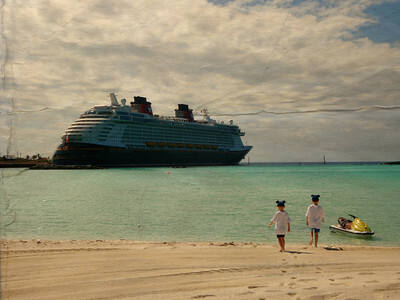 Are you ready for a new Disney Adventure? Call me and I can help you work out all the different options! Beginning Dec. 16, 2015, you can set off on a culinary adventure featuring “World Famous Jungle Cuisine” at the new Jungle Navigation Co. Ltd. Skipper Canteen in Magic Kingdom® Park at Walt Disney World® Resort. Located steps from the legendary Jungle Cruise attraction, this new 222-seat table-service restaurant is staffed by the wisecracking crew of the Jungle Navigation Co. Ltd. Diners are seated in one of three dining destinations inside the company’s headquarters-turned-restaurant: the mess hall; the jungle-inspired parlor once used by the company’s founder, Dr. Albert Falls and his family; or the former meeting room of the mysterious Society of Explorers and Adventurers. The adventurous menu features bold and flavorful tastes inspired by the exotic flavors of the rivers traveled on the Jungle Cruise. You can try Trader Sam’s head-on shrimp, Dr. Falls’ signature grilled steak or the house-made arepas with slow-cooked beef, black beans, tostones and queso fresco. Little ones can enjoy items such as Junior Skip’s special mac and cheese. And for dessert, there is a Kungaloosh! – an African-inspired chocolate cake served with caramelized bananas and cashew-caramel ice cream. Refreshing non-alcoholic specialty beverages, Punch Line punch and Schweitzer Slush, will also be offered. The Disney Dining Plan will be accepted at Jungle Navigation Co. Ltd. Skipper Canteen. Reservations are not currently being offered. Please visit the restaurant podium for availability.